It's was this thread that got me back into retro gaming. 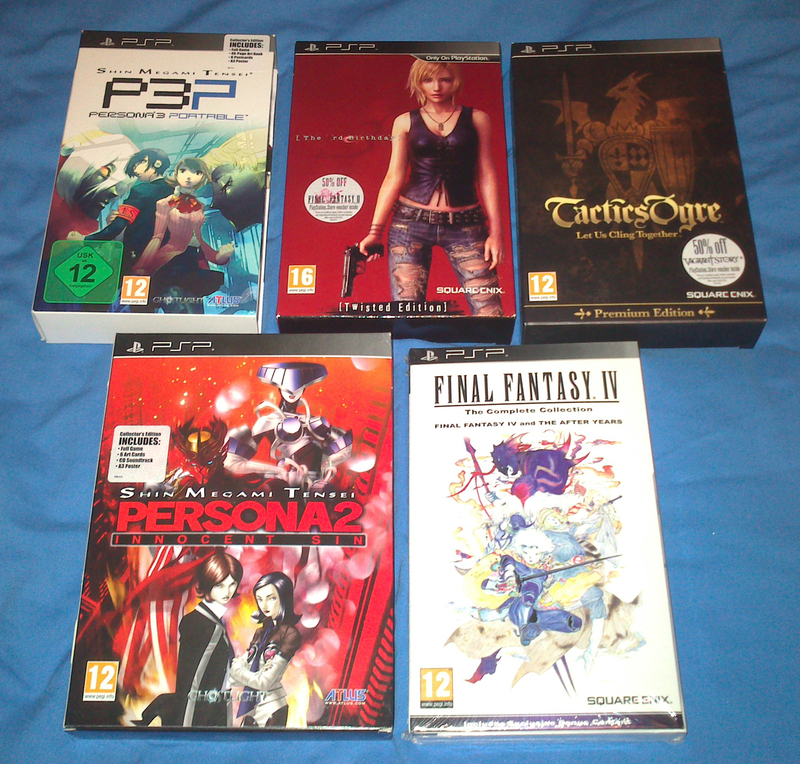 But unfortunately I lack the time money or space to play them anymore. 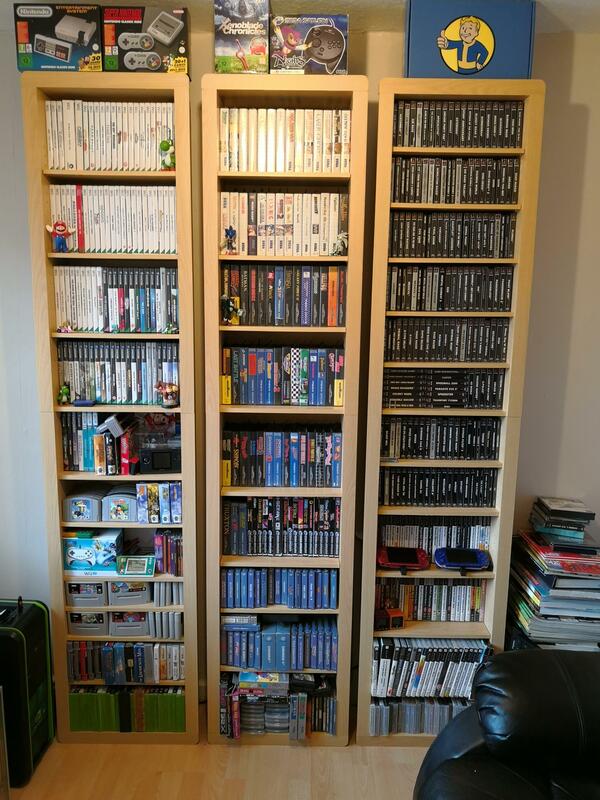 Ive been selling mine off gradually over the last few months as I ran out of room to display n play properly too. There both in my other room with the CPC, ST, PC and Amiga as they take up too much room. This is a great thread (which I know has been dormant for a while). I unfortunately don't have anything to post at the moment as I got rid of most of my collection (and anyways it was all in bags and piled up in a frankly rubbish way). If I do build a small newer collection will post. Saw Darran's shed on Twitter too - looked very nice - especially having a cab! We had family staying over Christmas so there just wasn't room for it, had to make way for beds. 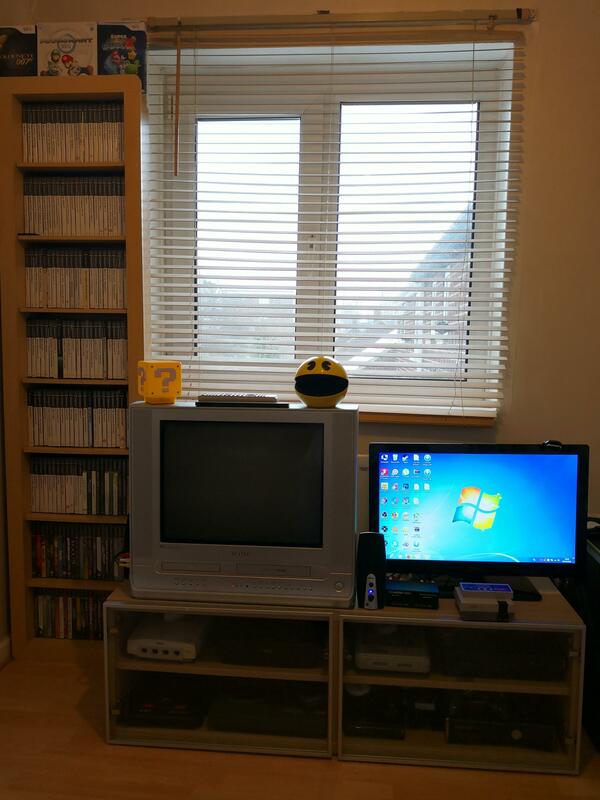 Few pics of the setup added a crt a couple months ago much better picture quality on the old consoles. And what still needs to be sorted. I'll try and get some of mine soon. Kinda hard doinf it over the phone. 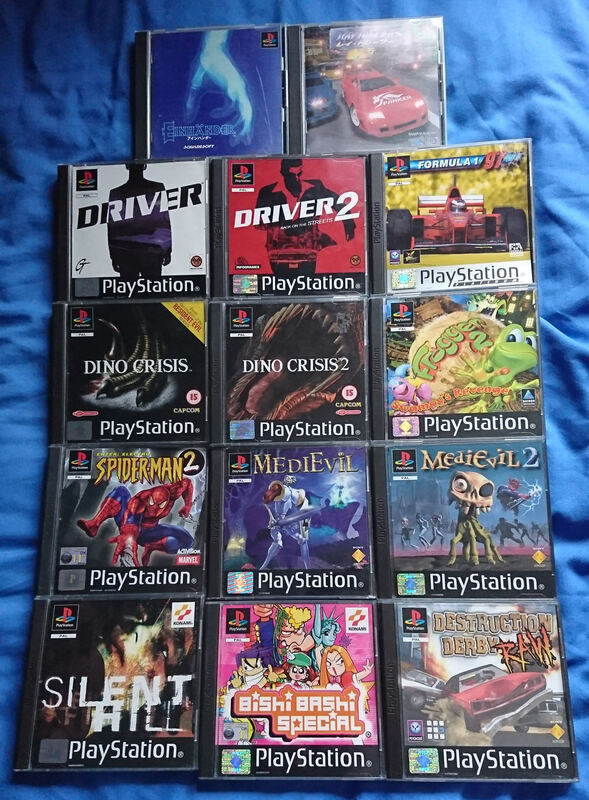 Wow, some great collections on here, kind of makes me wish I kept hold of mine although it was starting to get seriously out of control! I did keep hold of the older parts of my collection though (mainly Atari, Commodore 64 and Amiga stuff) which I've just started photographing. I also have a Tumblr page but the image quality isn't as good but it does seem to be easier to navigate than Flickr. This is everything I currently own. 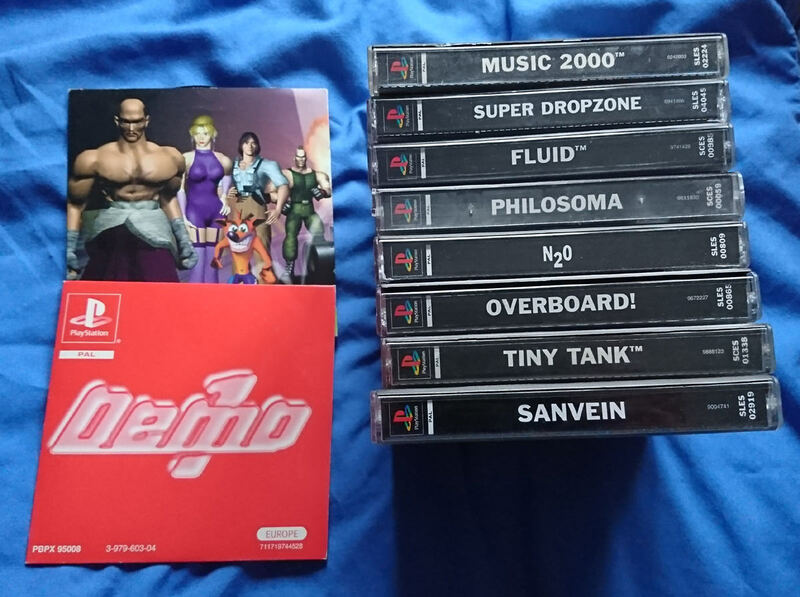 Shame about the lack of PROPER retro but stuff was sold off a long time ago due to either not being used or being worth too much money to just have sitting on a shelf when I have other things to pay for. 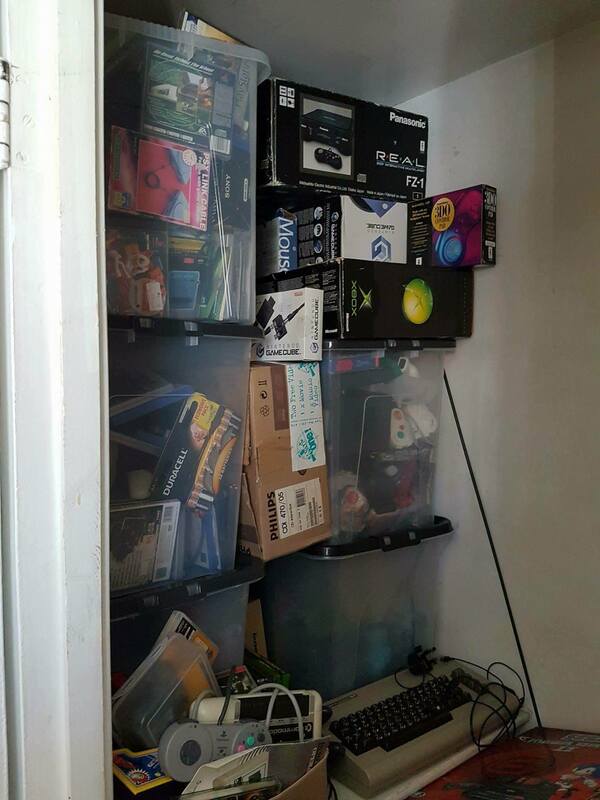 No fancy storage or displays here I'm afraid! I used to have a LOT more including all the first party stuff not shown here (Mario Sunshine, Mario Kart etc. 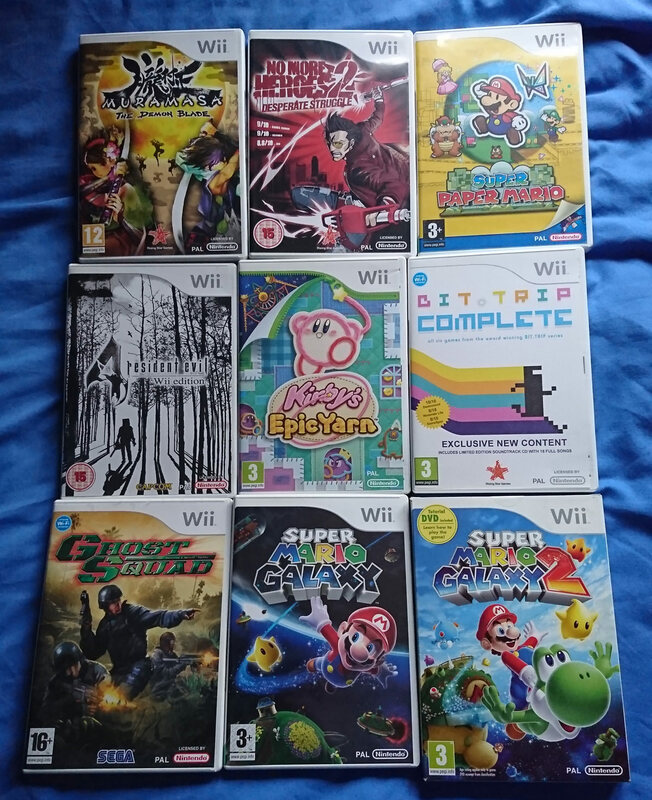 ), the Mario sports games and other expensive titles such as Baiten Kaitos, Twin Snakes, all the Resident Evils etc. 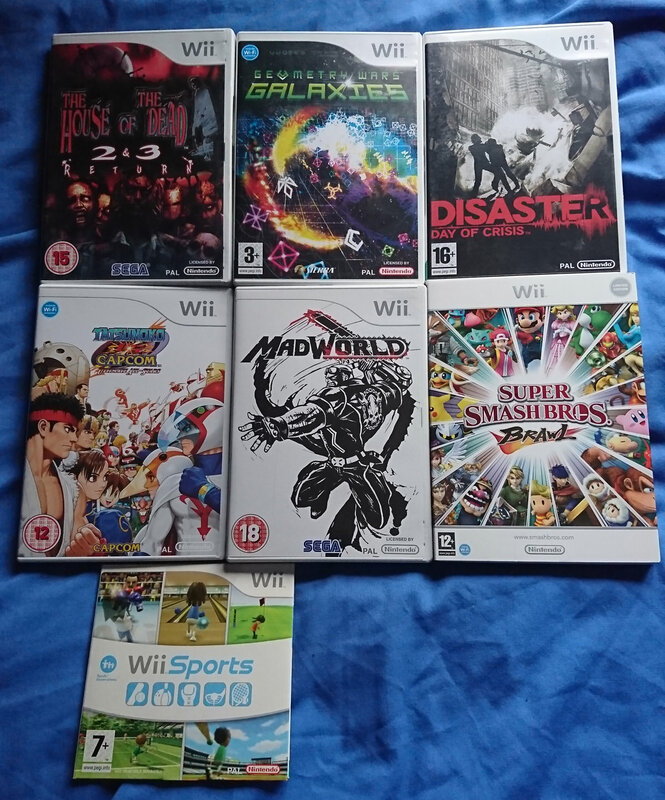 but I sold everything that I wasn't interested in playing again because Gamecube stuff is worth MONEY and when you can get over £40 for a terrible Mario Baseball game? You TAKE that money! The only two big games that I have not owned and would like to have are Chibi Robo and Skies of Arcadia but good luck getting them at a reasonable price. I've yet to see either in the wild. 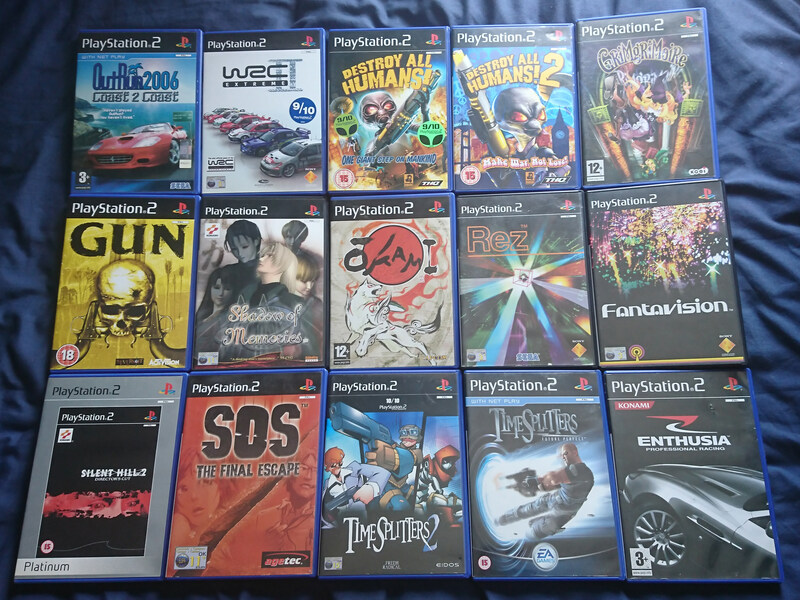 PS2 collection. 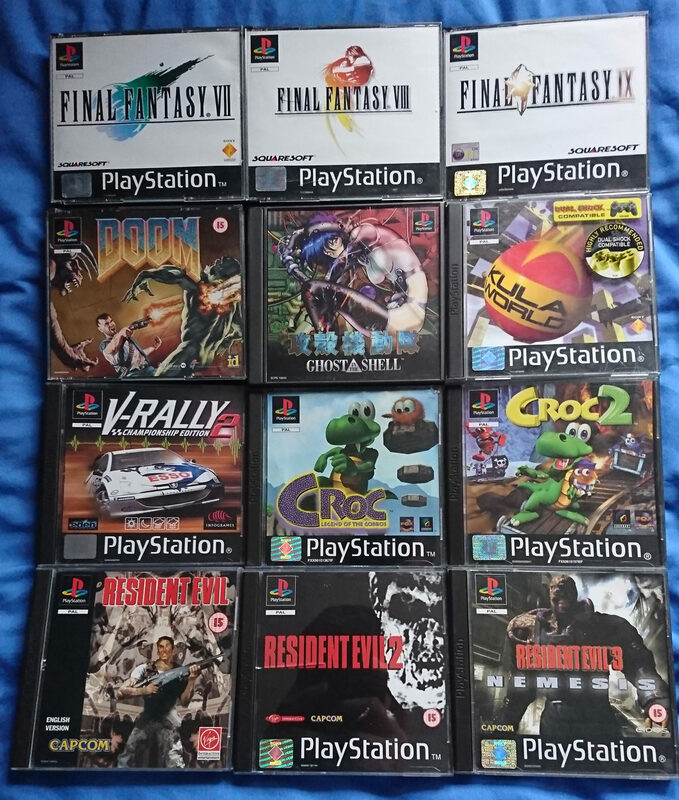 Used to be perhaps 3-4 times as big as this but there was never any way I'd actually play all of the games so I've just kept favourites, stuff I'd definitely replay and a few that I 100% want to play for the first time when I get around to them. 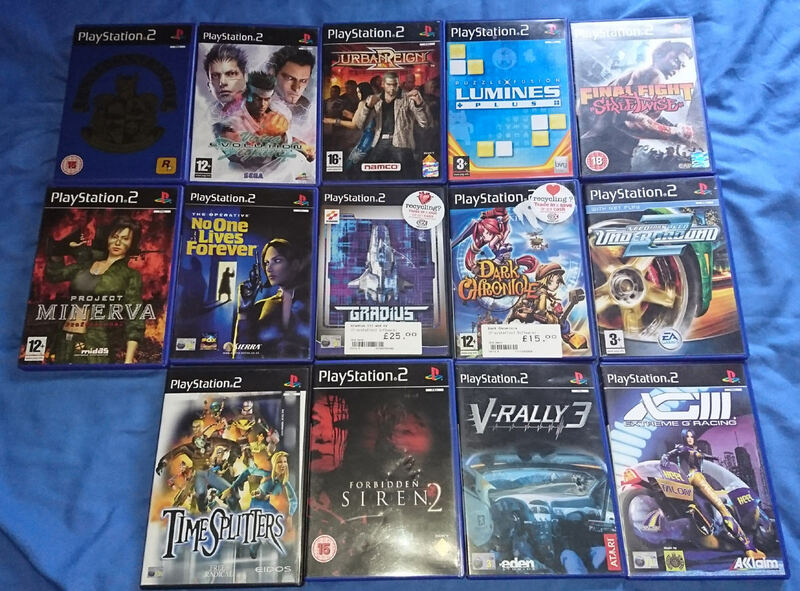 Whenever I try and decide which system is my favourite, all of these games just cement the PS2 as the only option for me. There are STILL loads of things that I'm after or want to try out so even now, it keeps on giving. 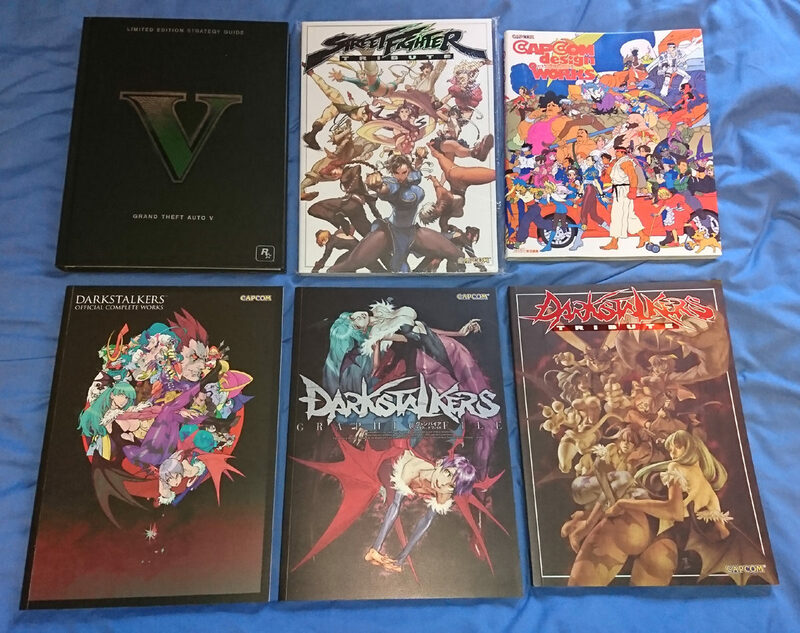 Fighting games - love 'em. 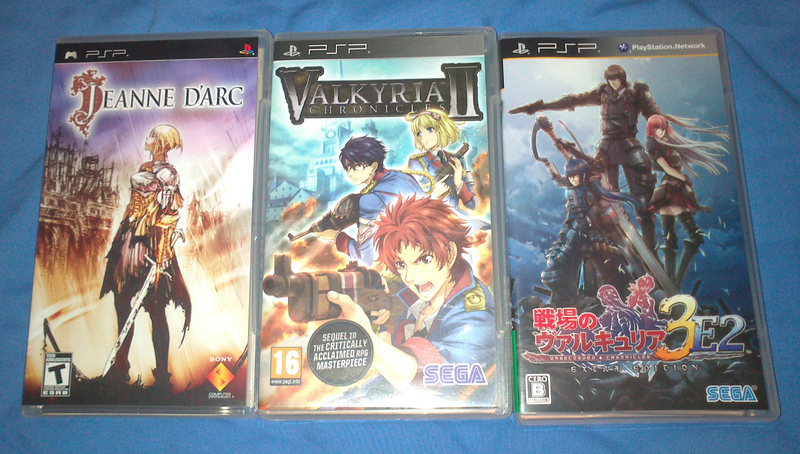 Random games I have picked up lately and need testing/playing to see if I want to keep them. 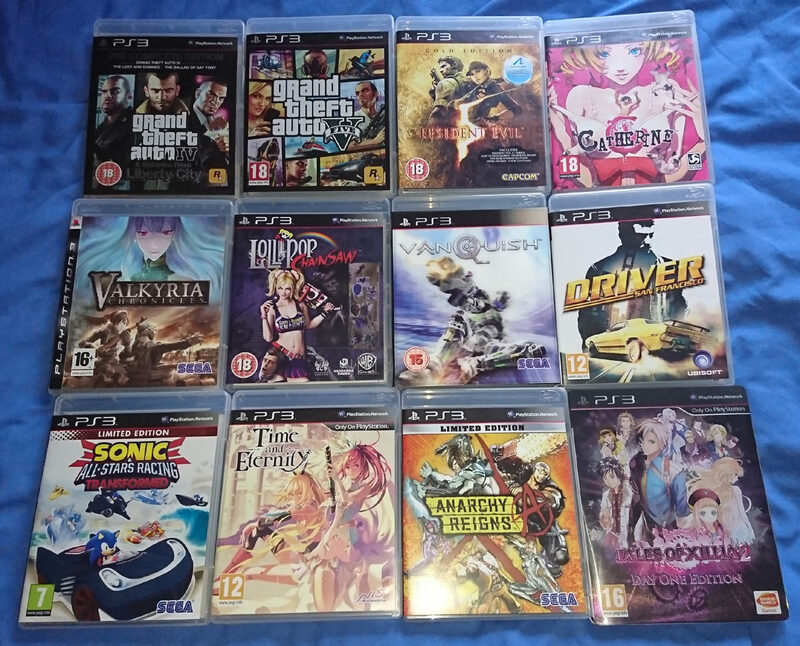 PS3 Games! Used to have loads more than this but I had a major clear-out. There are still a lot of things I'm after but it's not really a priority right now. 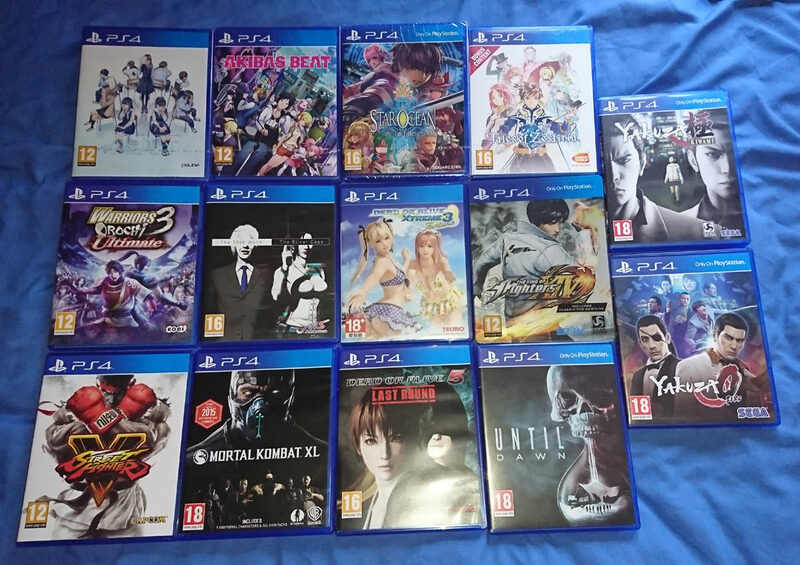 Current PS4 collection. I barely own much for this console TBH but it isn't for a lack of interest. 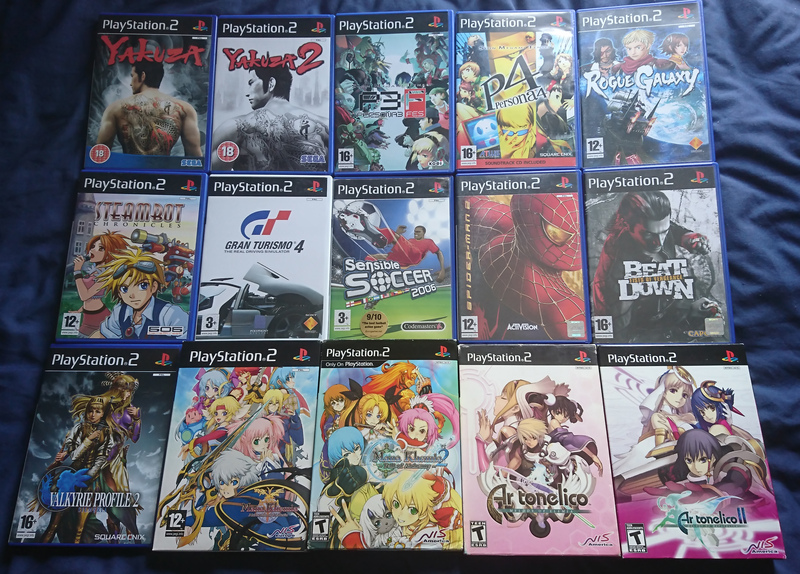 More a case of too many games and not enough time/money to keep up with them all so for now, these are all I have. 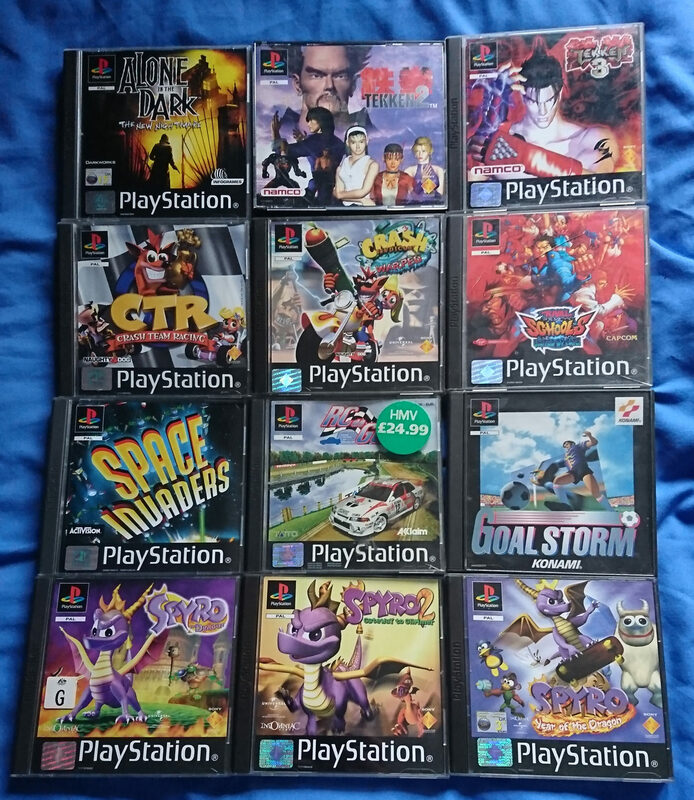 PS1 games. Again, used to have loads more than this but I sold all of the valuable stuff that I wasn't going to get around to playing + most of the filler. 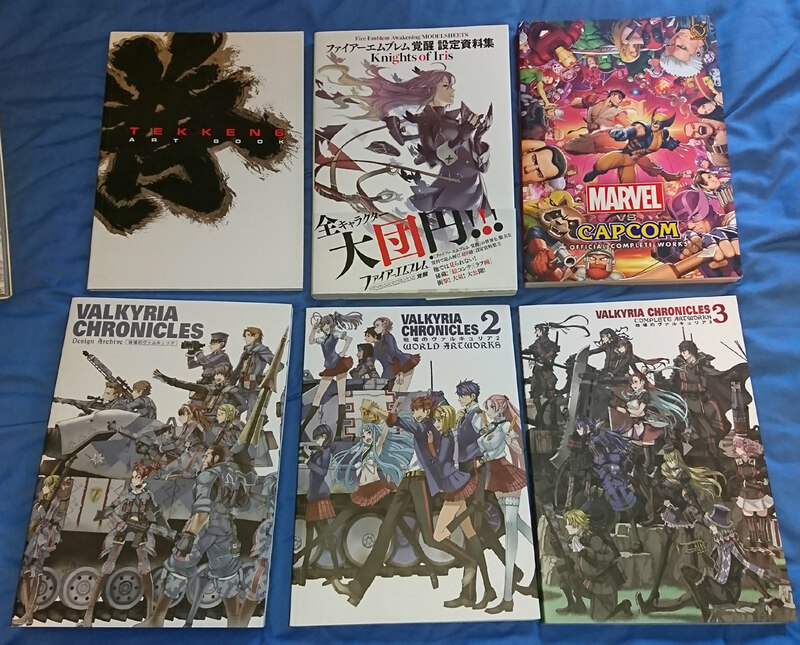 These are my favourites plus a few bits that I intend to get around to. 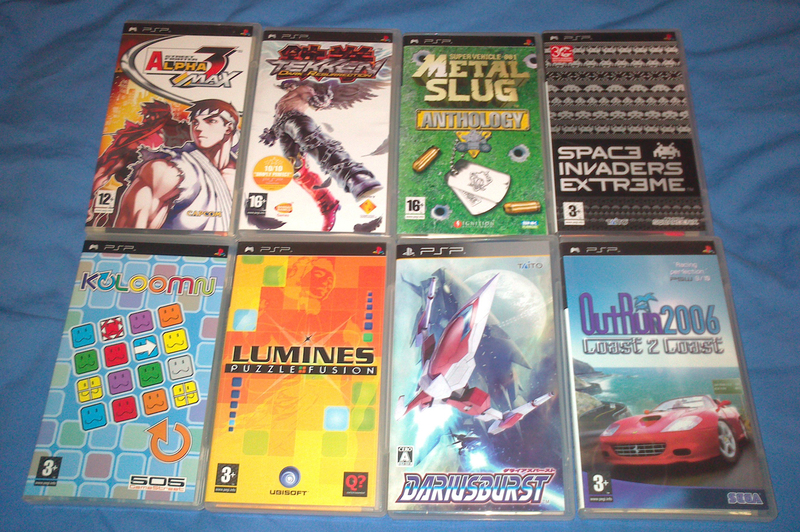 A couple of old demos + some games that I either still need to test or that have nasty broken cases and need fixing up. 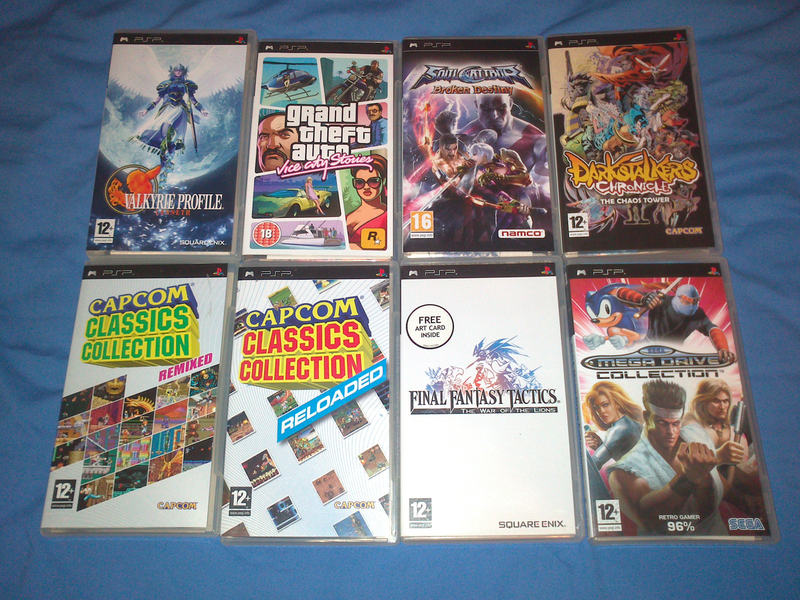 PSP games. I also own Mercury and Twinbee Portable as well as a few others (I THINK I have Echochrome) but these are older photos. 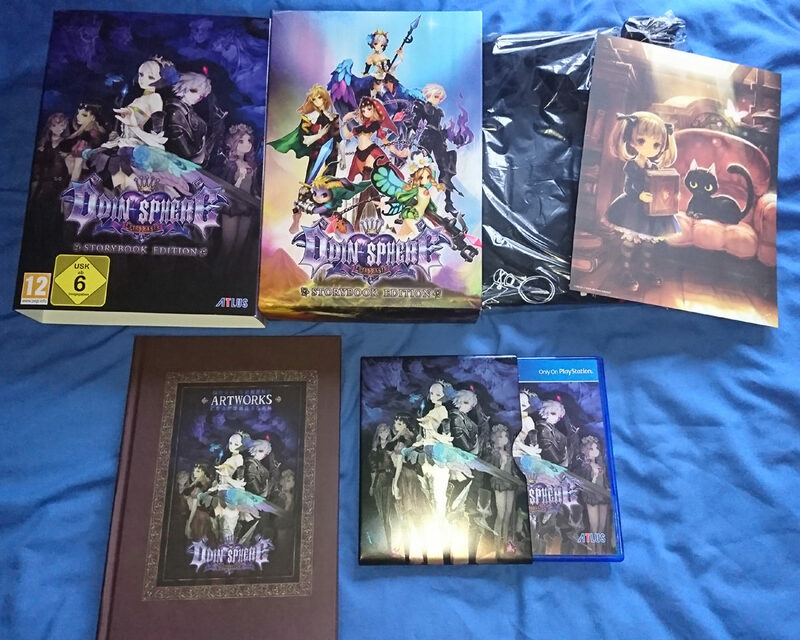 I sold the Third Birthday boxset in the bottom photo but everything else is still here. Completely random stuff. 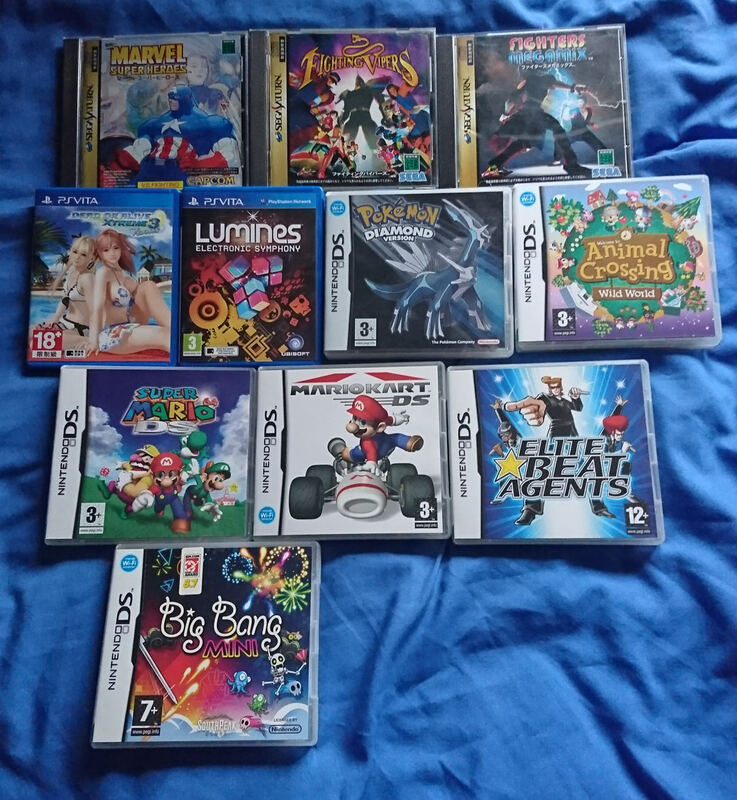 A few Japanese Saturn games (I sold all of my PAL stuff ages ago, haven't gotten around to modding my Saturn), couple of Vita titles and what's left of my DS collection. 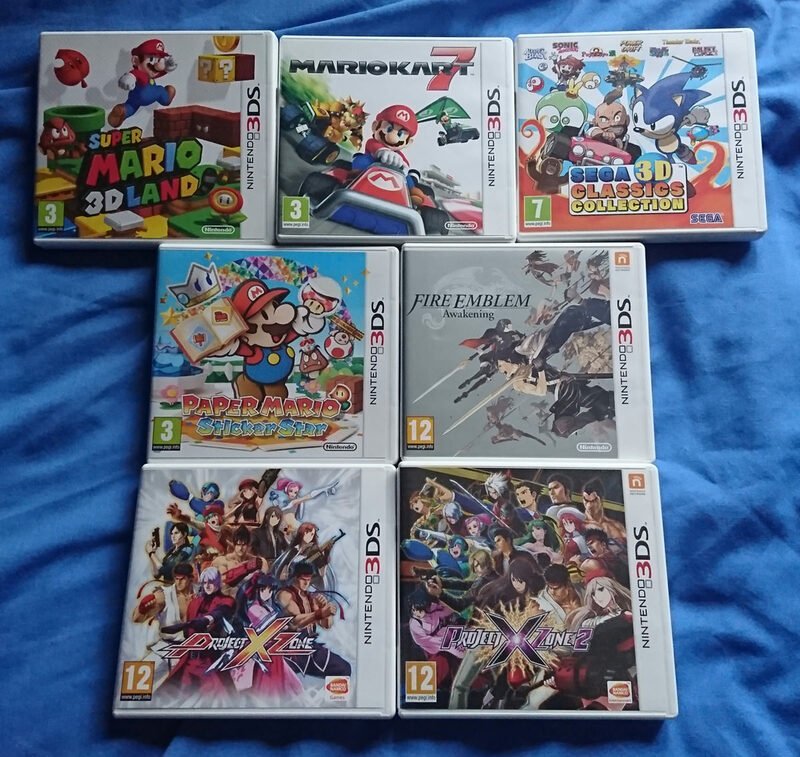 3DS games. Like the PS4, I have a long list of wants for this console but just don't have the time for it at the moment. 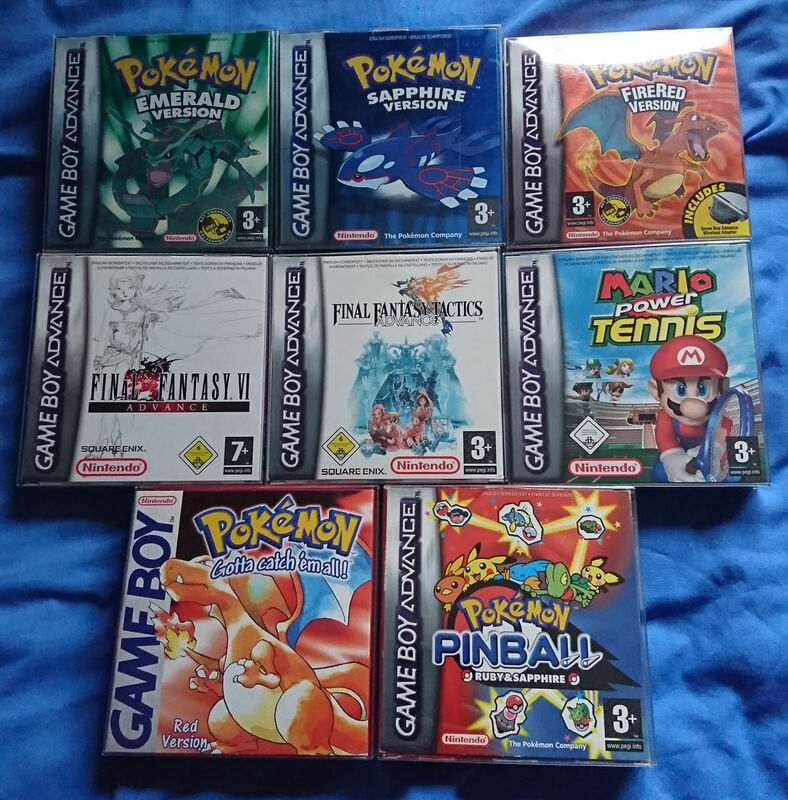 GB/GBA Games. Sold most of what I own. Apart from the bottom two, these are all things I've owned from new. 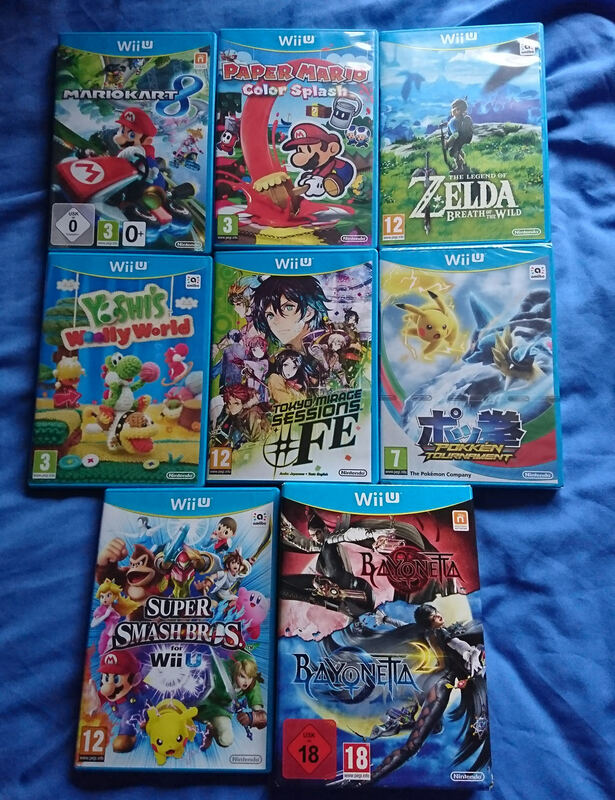 Wii and Wii-U games. 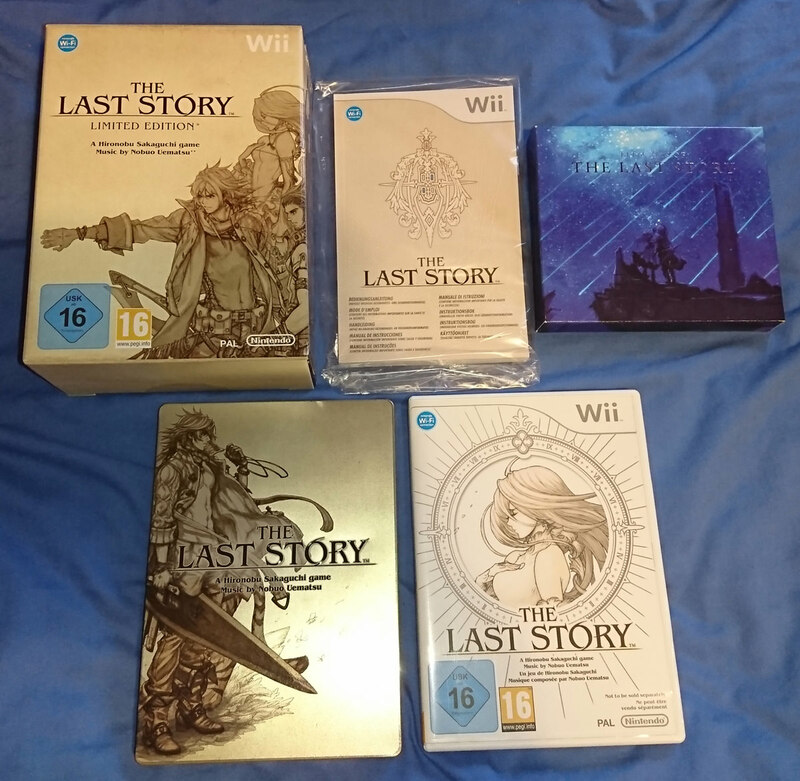 There's honestly not that much more that I want for the Wii-U other than the 2 Mario platformers. It's worth owning as a BC-compatible machine though and for Mirage Sessions which is an amazing game. 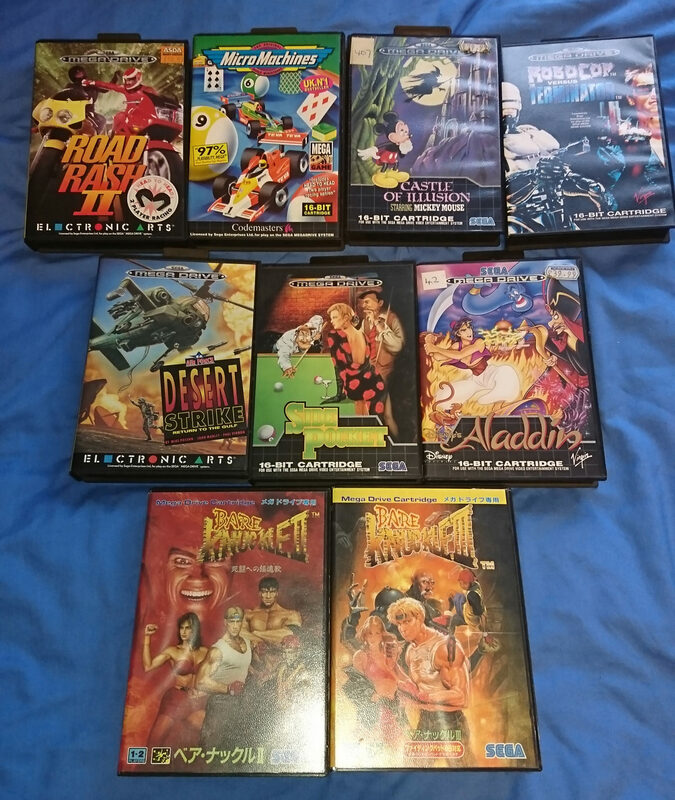 A few Mega Drive games I have left. I also have Sonic in the console box since it was part of the original bundle. 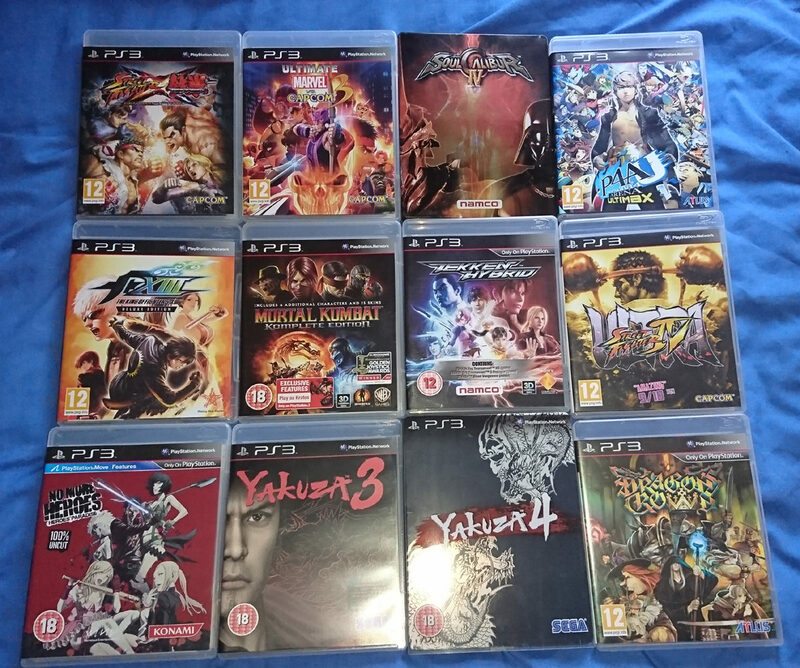 The two Jap Bare Knuckle games at the bottom are my favourites. Game soundtracks. 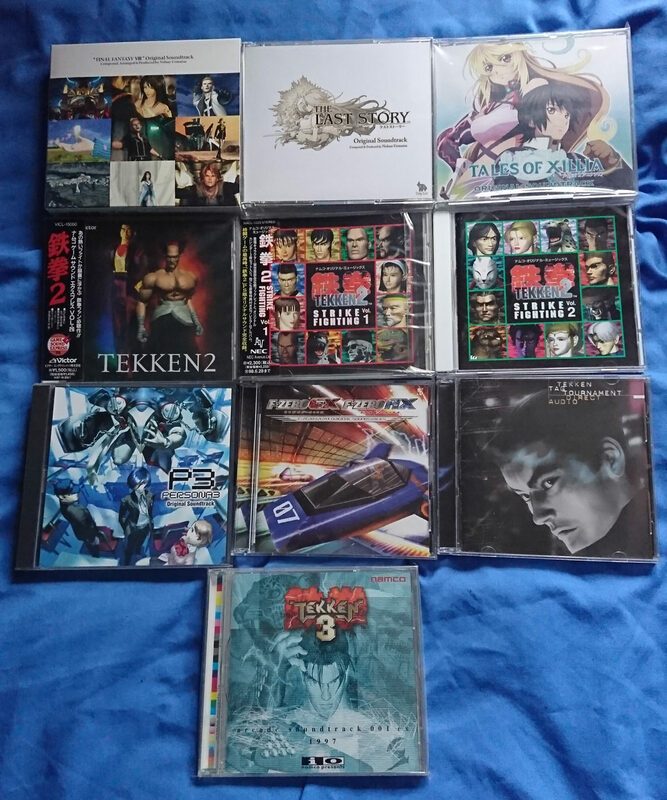 Was after the Tekken 2 Strike Fighting CD's for ages as they cover all of the arranged tracks from the game. 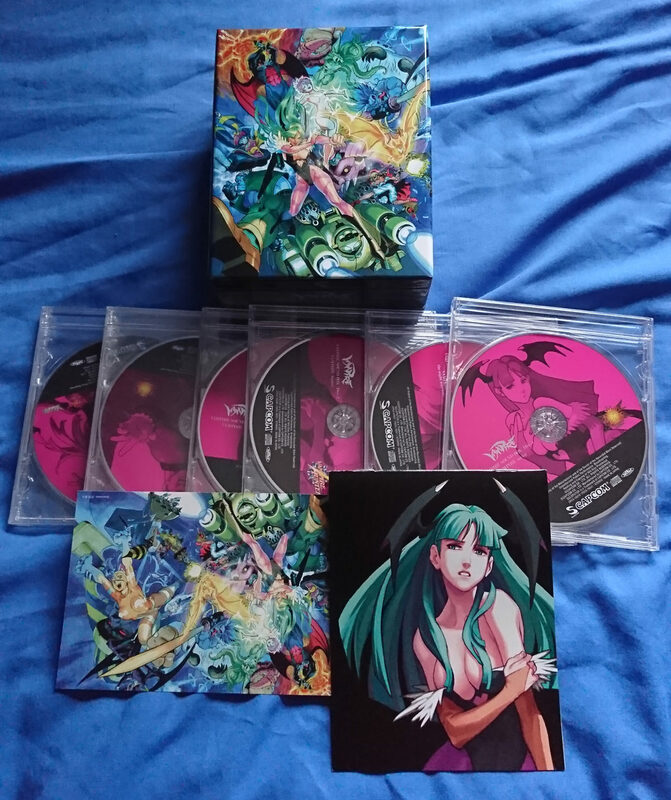 Darkstalkers soundtrack boxset from one of the Capcom anniversaries. Limited Edition. There was also a Street Fighter one but I couldn't afford both sets at the time. 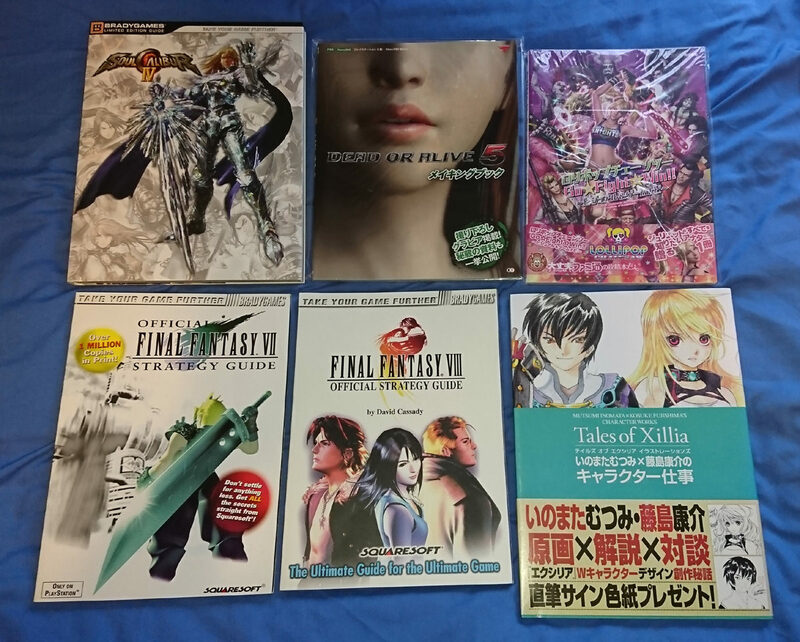 Artbooks and game guides. These take up a LOT of room and most have been imported from Japan over the years. A few figures/statues. 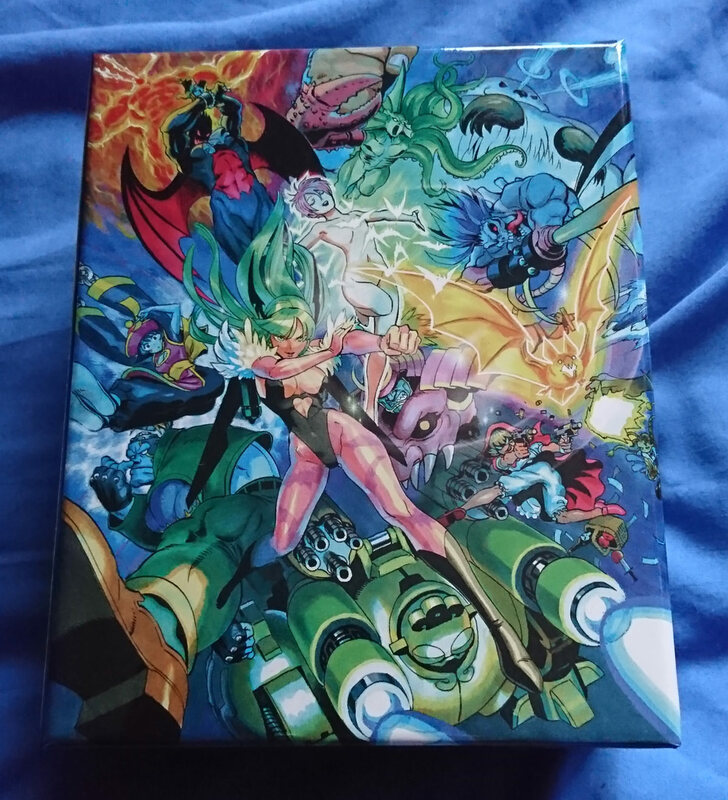 Had more but sold them as these tend to increase in price quite quickly once they sell out, especially if they don't manufacture a 2nd run. 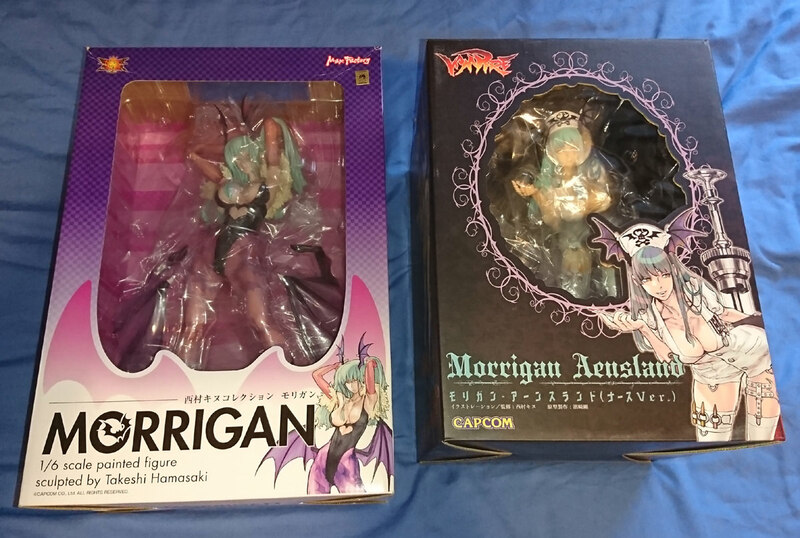 One of the Morrigan's for example cost me £100 years ago but now sells for easily 3 or 4 times that in the box. Its been so long since I checked out this forum.. I wish I had the time and space to set up all my old games. I think these new mini systems might be the way forward for me.. although I am considering buying my first Saturn. That is a very nice slimmed down collection there MM, some really nice good stuff in there. After a year of saving I finally got my giant shed to set all my retro games up. 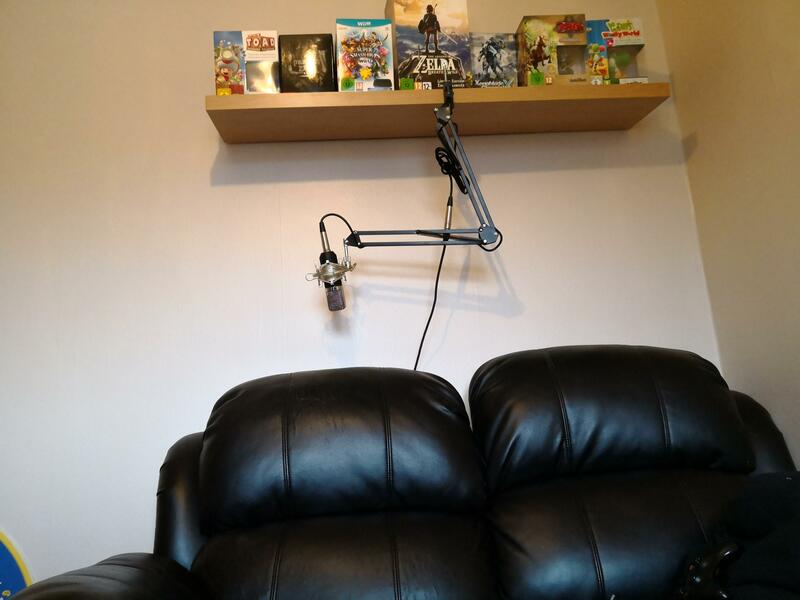 Here are 3 pics of the setup so far.